Back in 2003, my research on my family was pretty new, I had been to Washington D.C and Minnesota but I was still searching for family. I decided to travel to Iowa because I had been in contact with a Spracklin cousin who emailed me. Jerry is a descendant of Henry Spracklin, Amarilla’s older brother from the first marriage of their father Daniel. He lives in Iowa. Over the years, I have learned that my genealogical research trips are just as important as putting together the research and scrolling through sources. I learned this from Paul H. Goss who did research on the Goss family. He didn’t journal his research visits to cousins to learn about the Goss family history back in the 1930s, 1940s and 1950s. If you read his manuscripts you will see that he hints at these visits but he doesn’t elaborate on them. Paul’s visits to cousins or Goss descendants was very important and needed to be reported and sourced. I have a lot of respect for my cousin Paul Goss. It would have been nice to know where he obtained some of his information. In reviewing my journal from my trip to Iowa, it brought back the whole trip and reminded me of my time in Iowa. Here is a summary of that trip that opened the door on my research of the Daniel D. Spracklin families which included Amarilla my great-grandmother and her origins. 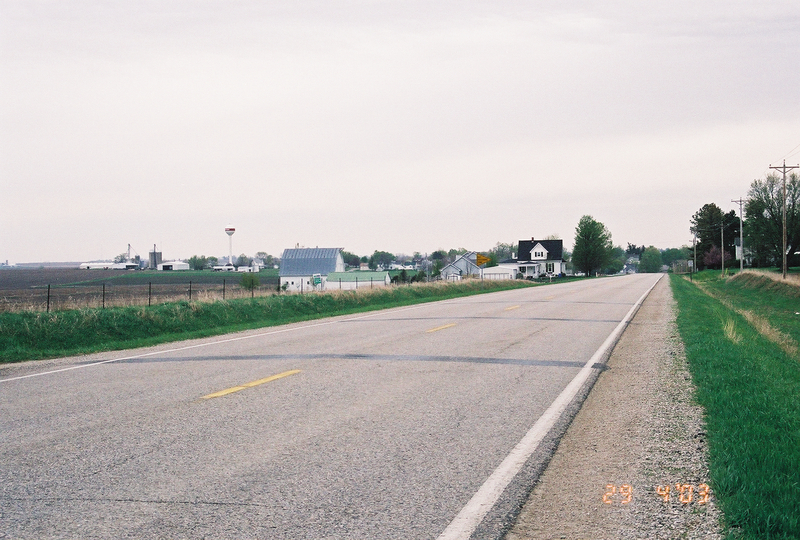 My trip to Iowa started on Friday, April 25, 2003 and ended on Wednesday, May 7, 2003. 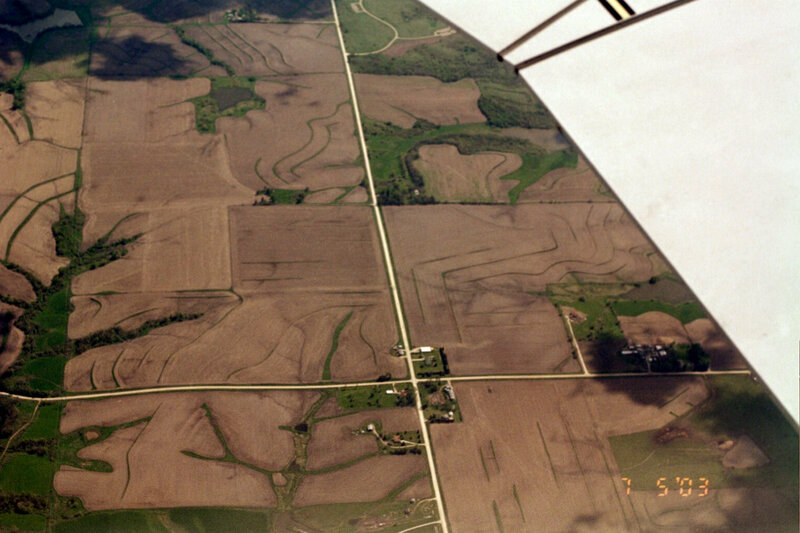 I flew into the Cedar Rapids Airport (Eastern Iowa Airport). I flew first to Chicago and then walked that airport from one end to the other to get to my connection to Iowa. Always check out an airport’s website they have great information to help plan your trip. This airport was a small airport so it was not hard to find the car rental desk and my car for the trip. 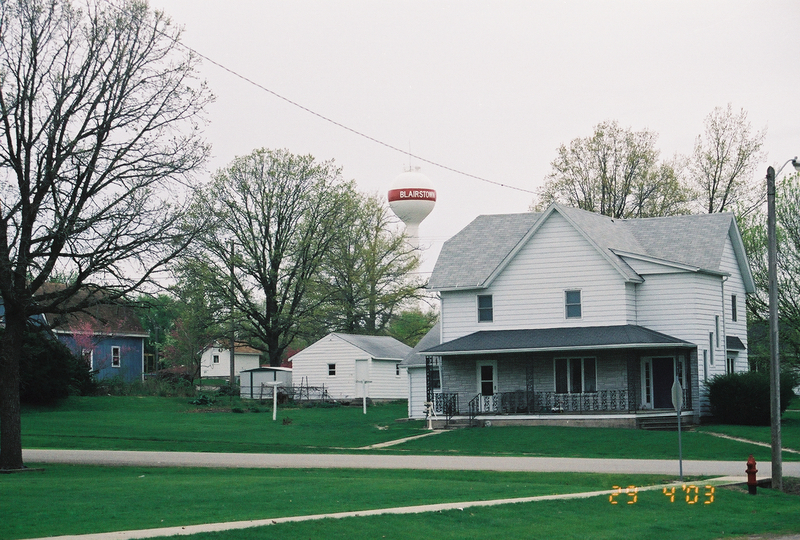 Once I had settled into the new car, I made my way south to the Amana Colonies Holiday Inn east of Williamsburg. It doesn’t seem to be there anymore and is probably under another name. 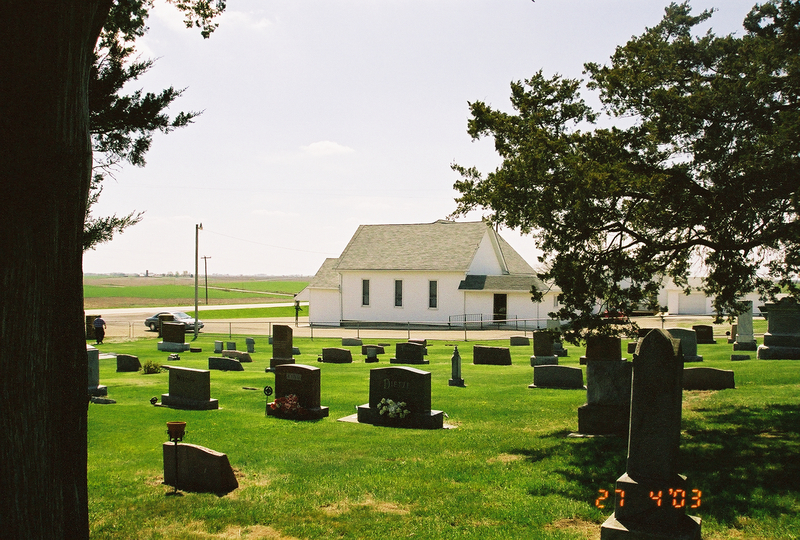 My goal was to visit courthouses, societies, libraries and cemeteries in and near Marengo and Blairstown, Iowa in search of the Daniel D. Spracklin families and Amarilla’s origins. When I prepare for a trip like this, I make an itinerary that is extremely detailed for each day of the trip. I know exactly what I plan to do that day after studying the websites of different repositories I want to visit. I add the addresses of repositories, their phone numbers, times they are opened and write all that information on the itinerary so I don’t have to search for it if I get lost or there is a problem that occurs, or I have to reschedule. My itinerary is there to guide me and can change. The journal is what really happened on the trip. Later I started using Microsoft’s Streets and Trips (now discontinued as of 2014 and support ending 2015) to prepare a road trip itinerary. I like this software because it will break the route down by each day. The map is not always detailed enough so I do use GPS either in the rental car or on my cellphone. Cellphone GPS when traveling Internationally would be too costly. So I still need maps to help guide me. Before the trip I go to Google Earth or Google Maps to see the road using the satellite version. Areas of the route I am unclear about I drill down so I know what might happened. Still there are always surprises. I then make copies of my S&T maps and make sure I have a good state and or county map. Armed with my itinerary, research goals, research papers, maps, and routing information, I head out on my adventure. 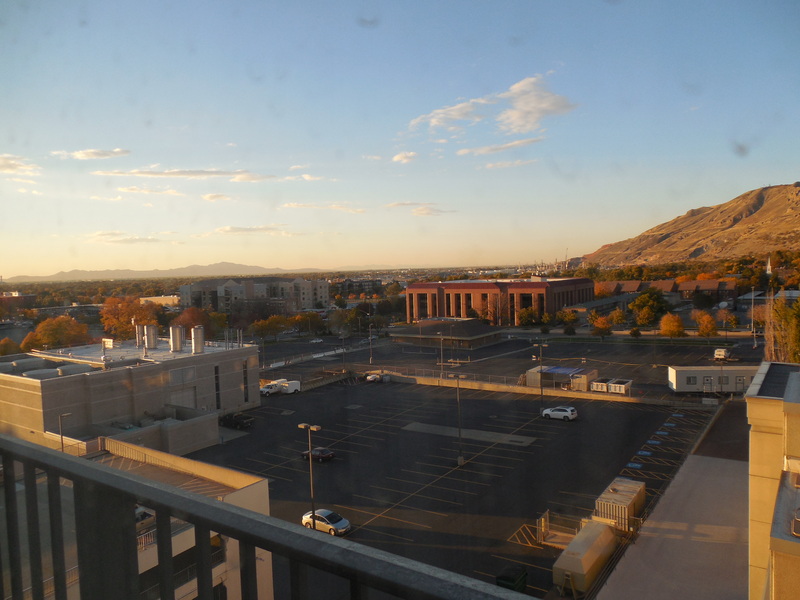 Once settled into the my hotel after the airplane flight, I prepare for my day. My first stop was Marengo, Iowa. 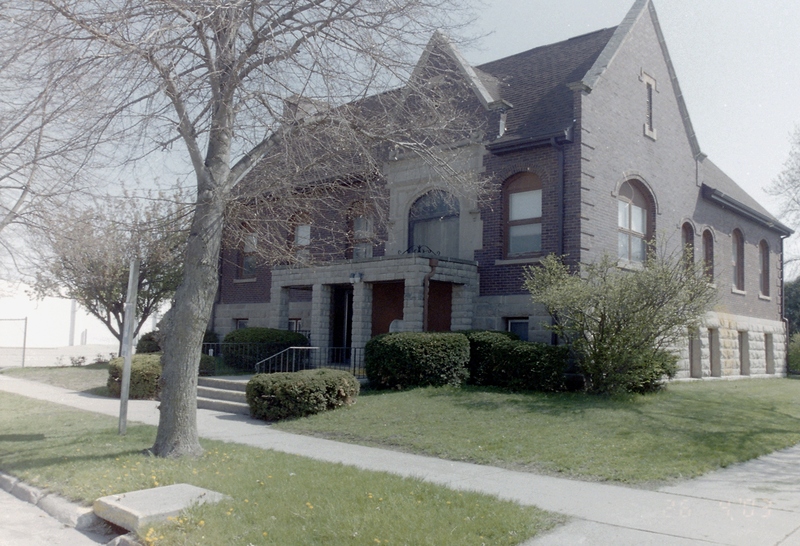 I spent time in the Marengo Public Library using its newspapers and going into the basement where the Iowa County Genealogical Society was housed at that time. They were very helpful. ICGS has moved to North English. 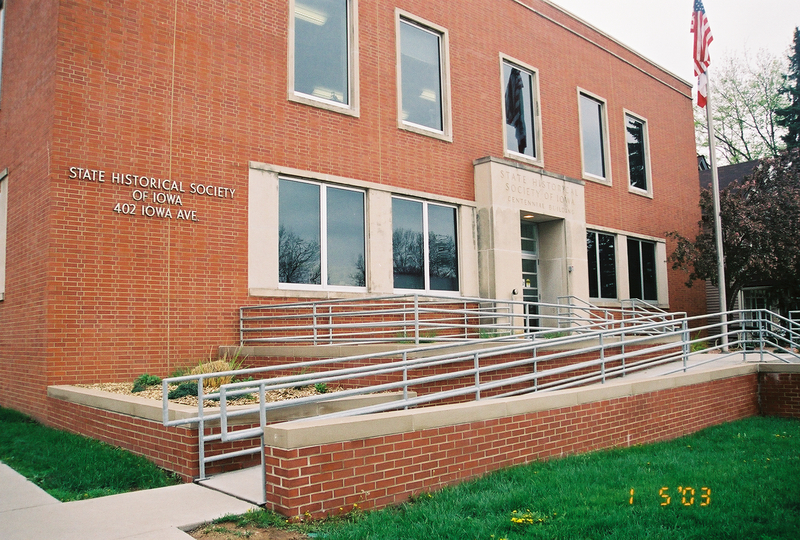 Don’t confuse them with the Iowa Genealogical Society which is the state society located in Des Moines. The ICGS volunteer was very kind and kept the society open longer than was posted. She helped me locate cemeteries to view, found books, microfilm and more. I was very impressed with this society. The most significant items found where the Atlases for Iowa and Benton County showing Daniel’s land. Most of what we did was eliminate history books and other sources. Daniel was proving to be difficult to find. 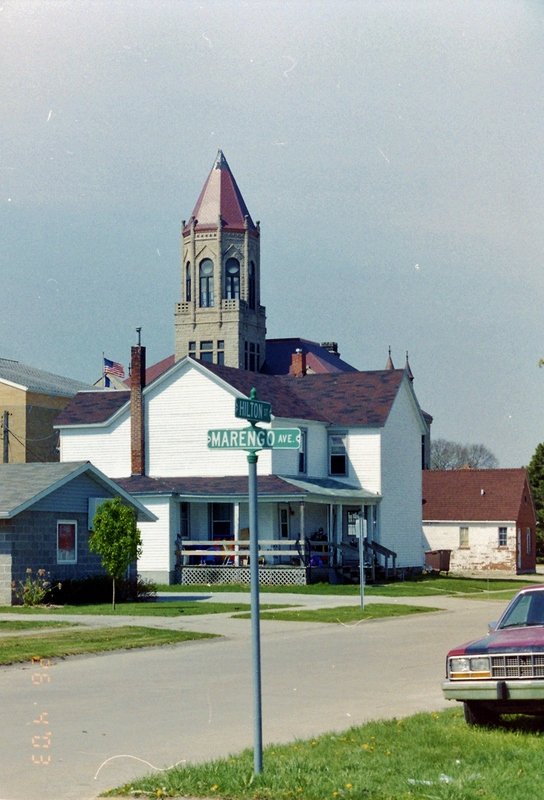 My biggest outing was to the courthouse for Iowa County in Marengo and it was there I obtained copies of the Probate/Estate packet for Daniel D. Spracklin. The county website has a much better picture of the courthouse. County websites are tough to get around in, so just be persist till you find what you are looking for, call and ask. After a couple of days, I moved from the hotel to Loy’s Bed & Breakfast which was closer to Marengo. It was really a farm-house where they were renting out the lower floor to visitors like myself. 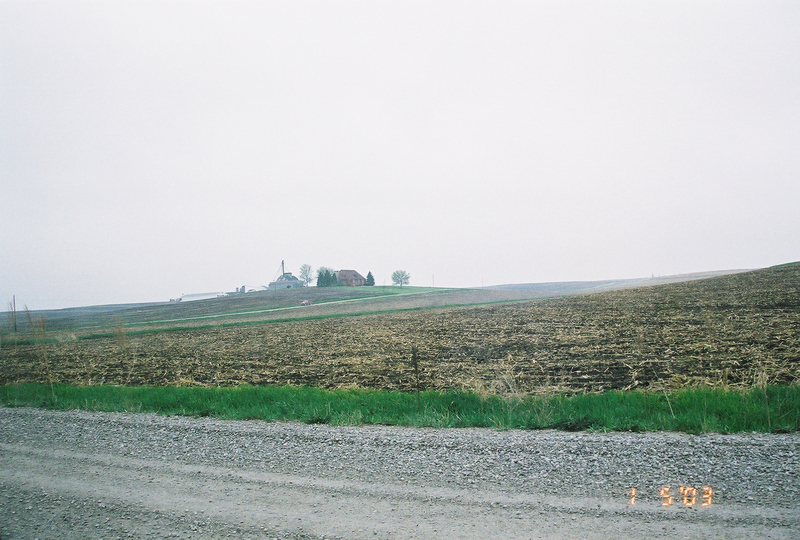 I wanted to see what it would be like to stay on a farm in Iowa. The proprietors were very nice. The man who was the owner of the farm, worked for the farm cooperative and was kind to study the estate papers of Daniel’s especially the inventory. He said that Daniel was a general farmer and had many items that indicated this. I was grateful, I am city girl. He was very knowledgeable and told me how the farming was done today. While staying at the farm B&B there was a storm and the sky got really black and I mean black and hung low to the ground. There were reports of tornadoes to the south. It slowed me down a little and made me a little nervous. I am a city girl you know. 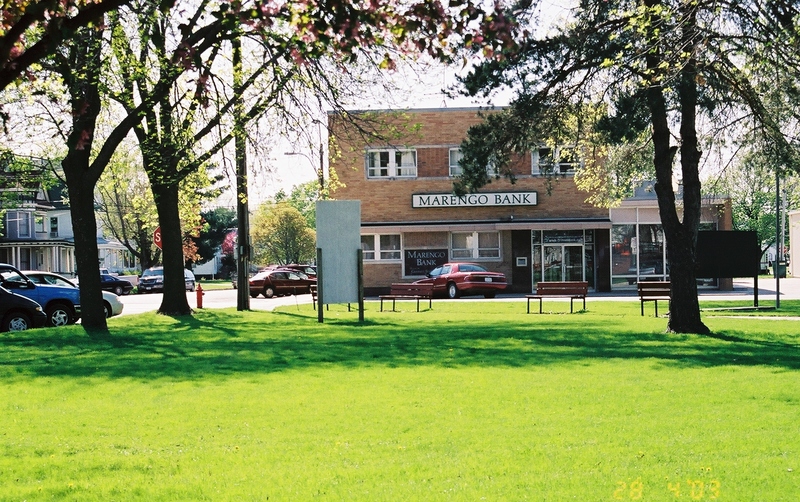 While in Marengo, I found a lovely cafe to the left of the park where the locals gathered. The seats were a little worn but the food was good comfort good. It looks like its probably gone now. Sigh! Oh, I did experience a traffic jam in Marengo. The train that goes through the town to the south blocked my progress for about 20 minutes, giggle. 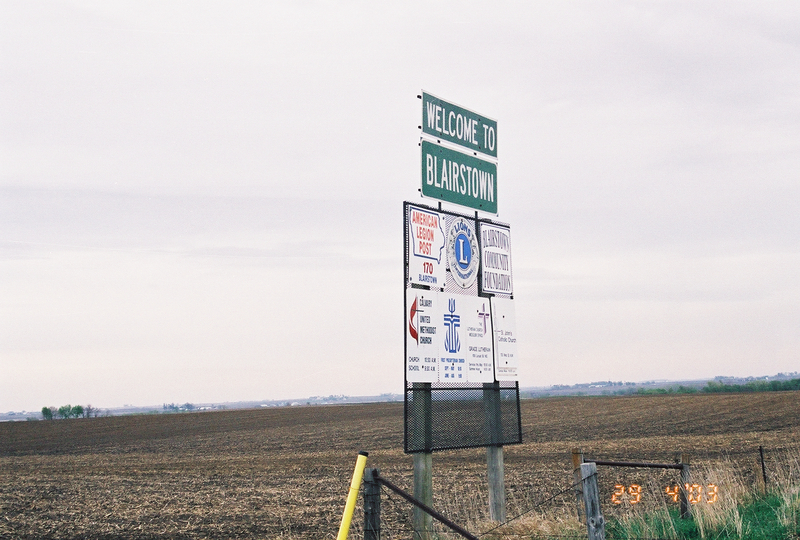 I also drove from Marengo up to Blairstown to get a feel for the land and see the area. It is a little more rugged along that road and flattens out when you get to Blairstown. The public library at the time was going through construction so they had a prefab building housing the collection. 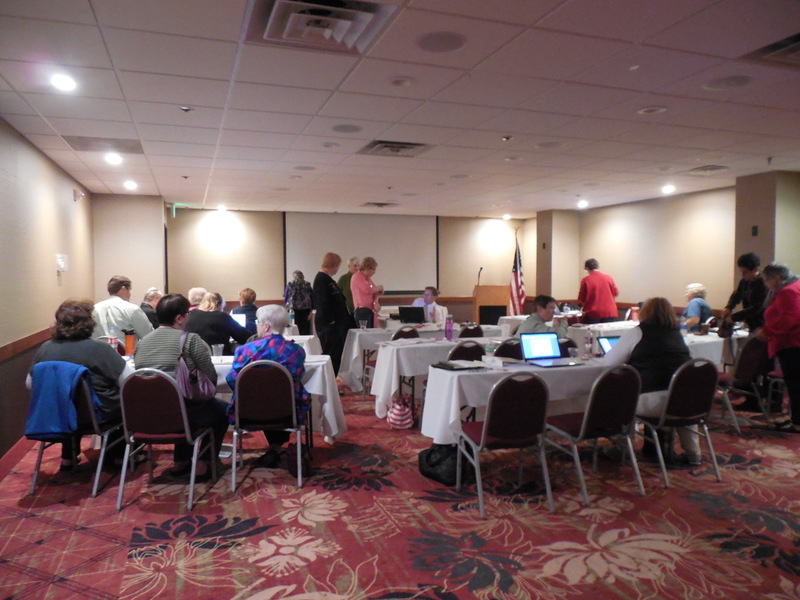 The Benton County Genealogical Society holdings were not there at my visit, they were at another location for safety. Now that the new library has been built they are housed there. It is really a nice library from the pictures and they have a genealogy room. I did not go to Vinton to see the Benton County Historical Society holdings which would be of interest for Spracklin research. 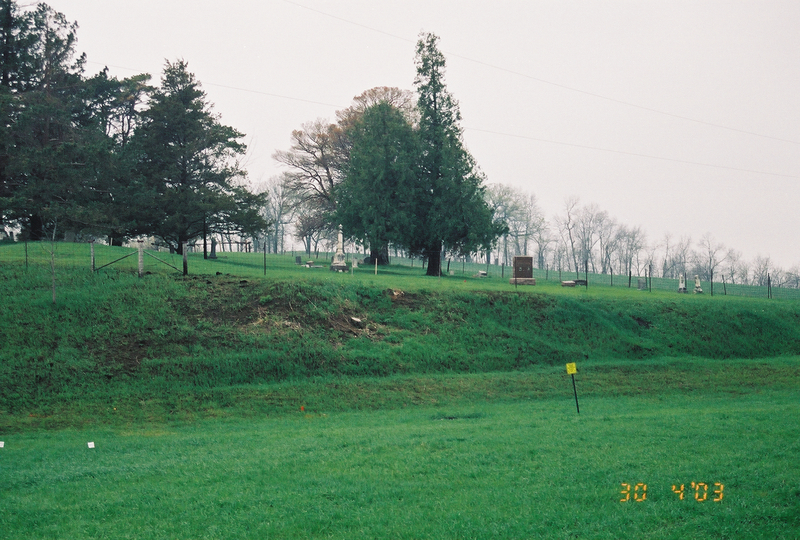 I did make it to Belle Plaine but my search for Peter Spracklin’s grave, a brother of Daniel, failed because there was some confusion about where he was buried. I had to reschedule to the next day to go and study that collection which was in a bank in Blairstown. The librarian was very helpful and kind. I did do a search of the newspapers in the time frame of 1858-1859. There were obituaries but I did not find anything about Elizabeth Keller Spracklin’s death or any Spracklins. I found others with familiar names from the Titler cemetery. Apparently you had to have money to appear in the newspapers which were mostly about farming and politics at the time. Once I was done with my visiting in the Marengo area, I did a little backtracking and headed east to Iowa City. 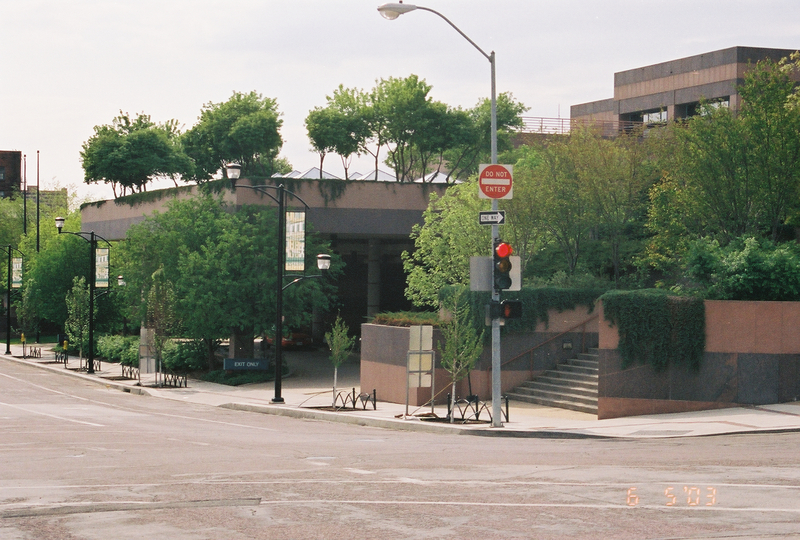 My next goal was the State Archives of Iowa Branch which is located in Iowa City on the campus of the University. I stayed at the Haverkamp Bed and Breakfast up the street from the Archives. It was very convenient to the Archives and I could walk to it. It looks like they are closed now. It was a great area of the city where there were a lot of old houses. My room was up on the 3rd floor and very nice and cozy. I spent a wonderful several days at the Archives getting all kids of information about the Spracklins of Iowa. 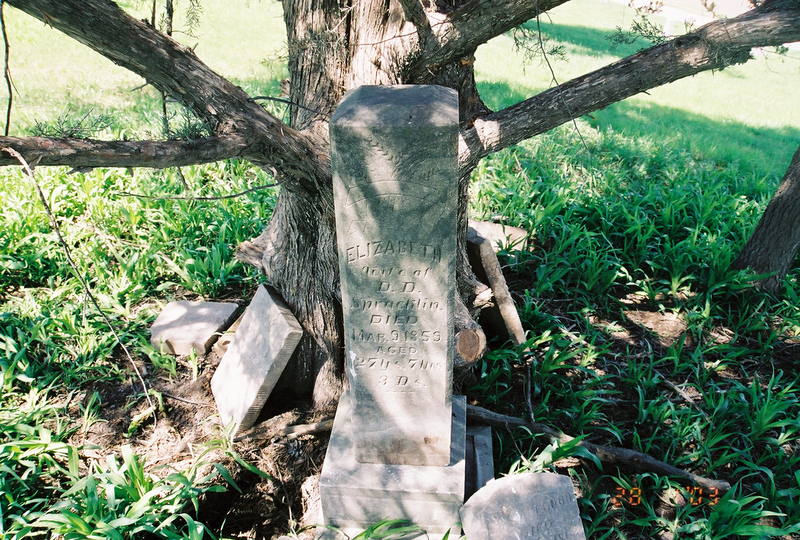 I searched cemetery records, vital records, and more at this location. Once all my research at this location was done, I took the car back to the airport and shuttled back to Iowa City to await the arrival of my cousin Jerry who was coming to pick me up. I would be staying with him and his family in Des Moines. My goal was to visit the Iowa Genealogical Society, and the main branch of the State Archives of Iowa and Historical Society in Des Moines. Jerry came to Iowa City and we drove back to the Titler Cemetery north of Marengo. He found the stones for the Spracklins piled under a tree. The cemetery as in bad shape and I didn’t want to leave Elizabeth and the babies there. The stones were not on the graves put piled under trees. See my BJM Cemeteries blog for a more thorough description of the Titler Cemetery and all my photos of tombstones (not necessarily complete.) Here is the starting post there are many more about this cemetery, so scroll to the cemeteries on the right side and find Titler. 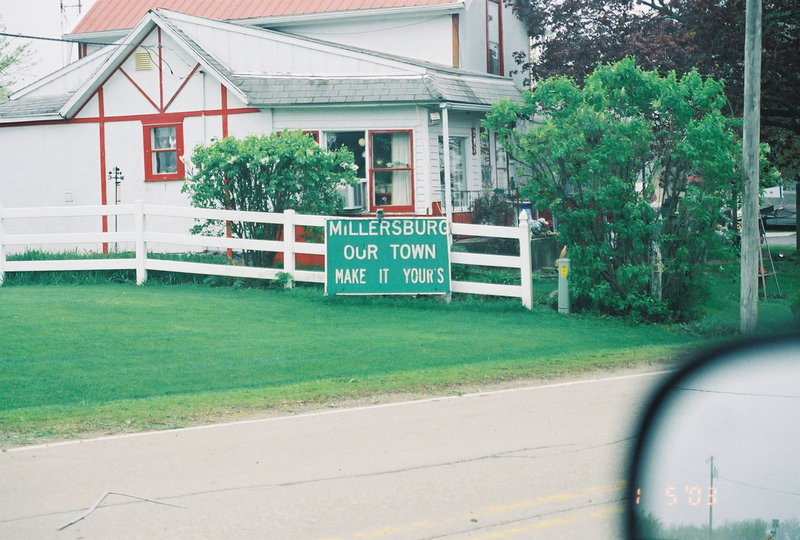 We also stopped at the Community Cemetery was near Millersburg. I usually like to visit a cemetery several times before I leave. We found the graves of Daniel, Sarah and Alfred Spracklin. We stopped at more cemeteries for his mother’s side of the family and then headed west to Des Moines. I spent a lovely fives days with Jerry’s family. He was extremely generous and shared his research of Henry Spracklin’s family with me. Henry is Amarilla’s older brother. 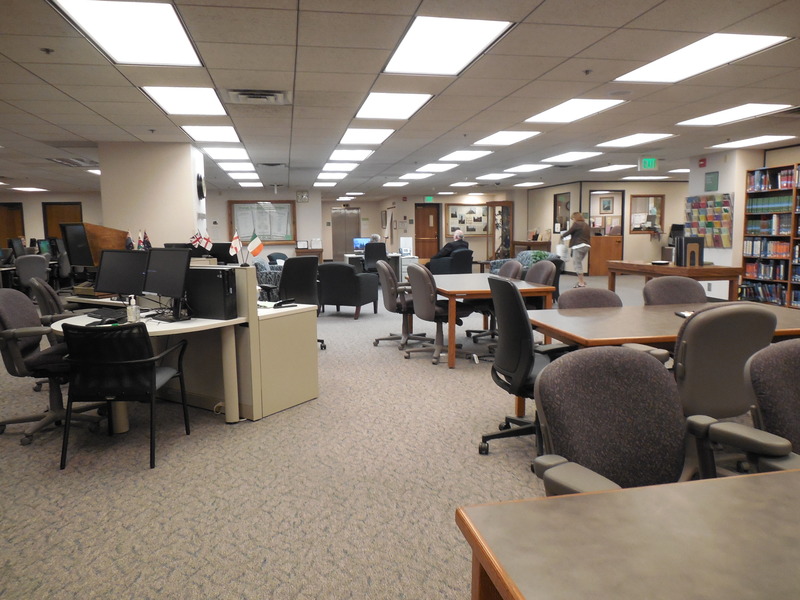 We visited the state genealogical society, Iowa Genealogical Society in Des Moines and just as they were closing I found some information about Peter and Solomon Goss Spracklin. There are two publications of the Titler Cemetery and you need both to get a total picture. I got copies of these publications. We later went to the main State Archives in Des Moines and that is where I found the obituaries of Daniel and Sara Spracklin and did deed research on Daniel, his brothers Peter and Solomon Goss Spracklin. I really should have been there for two days not just one. On May 7th a Wednesday, Jerry took me to the airport in Des Moines and said goodbye to me and it was sort of sad but we have kept in touch over the years and I have shared my findings with him. I helped him find Elizabeth Downey Spracklin, Henry’s wife. We now what happened to her after his tragic death. I have written about his death on this blog. As you can see my trip to Iowa focused on Iowa City, Marengo, Blairstown and Des Moines. There was not enough time to visit other areas of Iowa. So maybe another trip is in order. We will see. 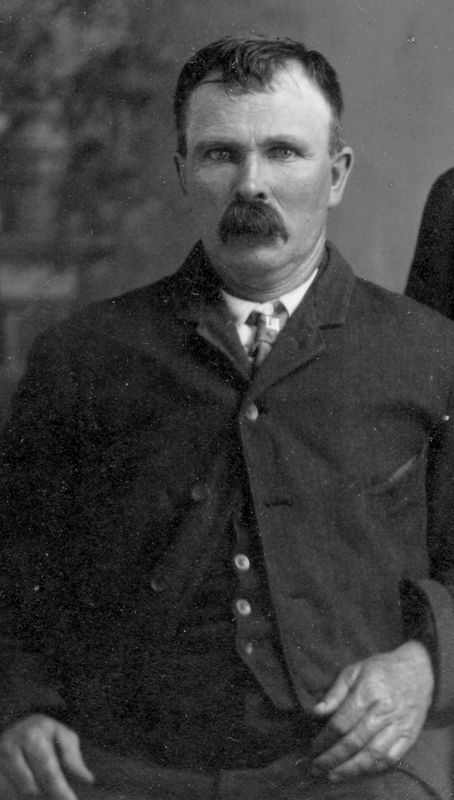 I am very glad I did visit Iowa in 2003 because I learned that the reason I could not find the Spracklins was because they all left Iowa County by the time Daniel died in 1915 and had scattered to other parts of Iowa and other states mainly going north to Minnesota and west to the Dakotas. So by 2003 you had to dig for information. Once I knew where they all went, that opened the door to more research. Dedication: I dedicate this post to the memory of Netha Meyer’s whom I met on my trip there, she was very helpful an enthusiastic and even offered to look up more obituaries and go to the courthouse with me. See her memorial on the Iowa County IA Genweb page.